One hundred years ago, on August 15, 1901 fire chiefs from the States of Pennsylvania, Maryland, Virginia, and West Virginia met in Chambersburg, PA for the purpose of adopting a uniform hose coupling and to develop a mutual aid system along the Cumberland Valley Railroad. General Boyd, a retired member of the Union Army and a principal of the railroad, called the meeting to improve fire protection in the towns that lay along the railroad. Stretching from Harrisburg, PA to Harrisonburg, VA, the Cumberland Valley Railroad served as an artery for trade between the four states through which its rights-of-way traverse. The meeting was successful -- so much so that one year later, on July 4th 1902, the firemen of Winchester, VA, invited all of the firemen in the region to attend demonstrations and an organizational meeting for a new organization, the Cumberland Valley Volunteer Firemen's Association (CVVFA). Borne from the need to work together to solve mutual problems, the CVVFA's history is rich with innovations that benefited firefighters and the public alike. 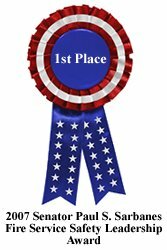 Spirited competition between fire departments at annual conventions and parades led to the improvement of skills and equipment of CVVFA member companies. The CVVFA was an early promoter of firefighter welfare by providing a modest death benefit. 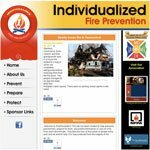 Well before most of the fire service had addressed public fire safety education, the CVVFA developed a thriving program in the school systems in its member states. In 1985 the CVVFA became the facilitator for the Presidents Council. 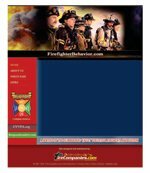 Meetings at the executive level of Fire Associations provide a forum to exchange information and to map strategies for fire service improvement. Most recently, two scholarship programs have been established to aid students seeking higher education in the fire and/or emergency medical services. Just before the dawn of the twenty-first century, the CVVFA produced a self-examination document entitled CVVFA 2001. The paper called for an increased effort to provide service to the all members of the fire service by refocusing on the CVVFA's original mission of mutual aid. After the untimely and tragic death of member Joseph Kroboth Jr. in 1998, the CVVFA undertook its most challenging project to date an effort entitled Protecting Emergency Responders on the Highways. The project has nationwide implications, and will result in the saving of lives and the reduction of injuries to public safety personnel everywhere. Embracing of this project fulfills the recommendation of the CVVFA 2001, and sets the CVVFA on a course to serve the fire service as we enter our second century. As the fire service shed its male only image, the CVVFA has evolved into a family friendly organization, fostering an environment where fire service members and their families can socialize during meetings and conventions. 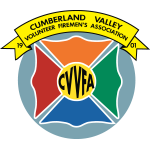 A non-profit organization, the CVVFA boasts an individual membership of over 1100, with another 100 organizational members on its rolls. The leaders of the CVVFA are elected by the membership. No matter that the CVVFA has "Volunteer" in its title, we often advocate positions that benefit the entirety of the fire service, career as well as volunteer. A number of career firefighters are proud members. The CVVFA is a home to all who value fire service progress and the strong bond between firefighters everywhere.